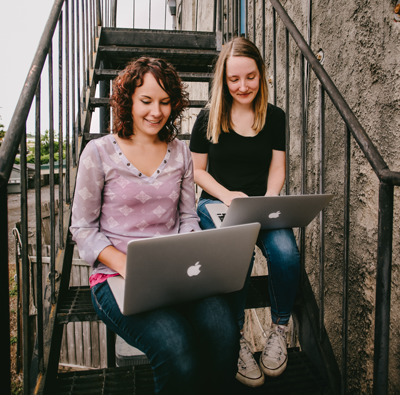 We’ve talked a lot about the strategy of websites when it comes to making sure clients’ goals are supported, but there’s more that goes into a well-designed website. Something we’ve seen several questions on lately is how to make websites easy to navigate. When we think about website navigation, it’s easy to consider the menu at the top and that’s it. But there are other pieces that should be considered. 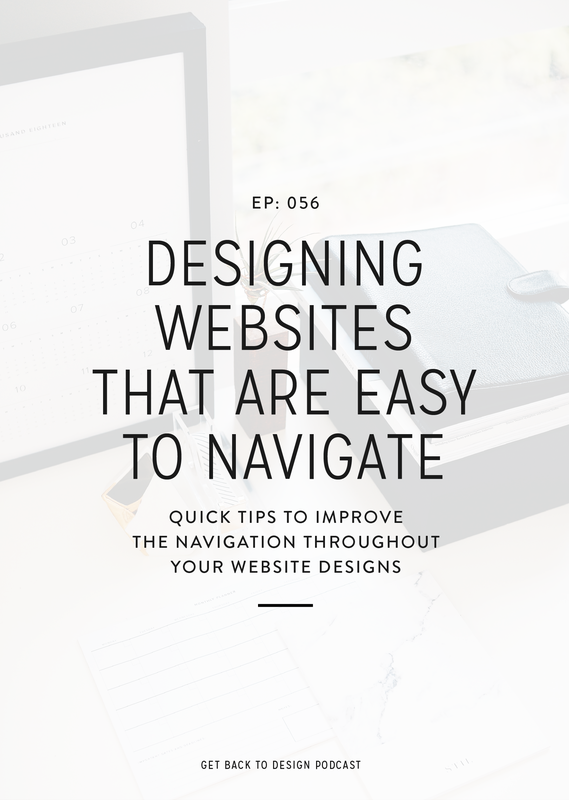 It can feel like a lot to think about, so today we’ll go over some quick tips to improve the navigation throughout your website designs. There are a lot of designers who don’t put much thought into how easy their websites are to navigate. There’s so much more to think about in a design, I can’t blame you if you’re one of those people. What happens if someone gets to the end of a page or blog post? 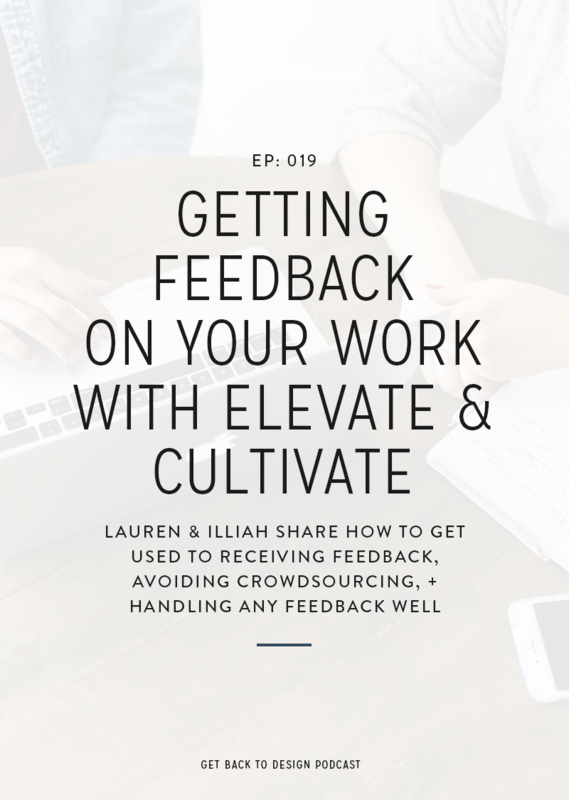 How can you make sure people are finding what they came for? 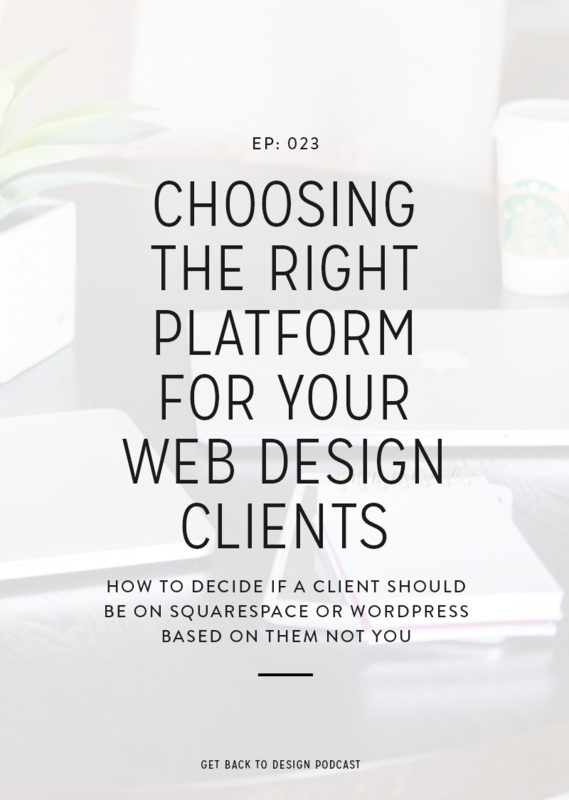 How are you using the website’s layout and features to get readers where your client wants them to go? Thinking about more than just that top menu will ensure visitors can easily move around the website you design, regardless of where they are on a page. Let’s start with a piece you’re probably already thinking about – the menu. This area is one that’s so simple that many skip putting any extra thought into it. It can also be difficult to make strategic because clients want a ton of different links displayed and don’t understand the value of narrowing it down. This is where some extra client education comes in. If you get a long list of links, include just the important ones and then explain to your client why you did it that way. Also, break the strategy of the menu into two steps. First, think about what links should actually be included. Second, consider what order they should be in based on priority and what makes the most sense for website visitors. We’ve all felt the frustration of going to a website for something specific and being unable to find it. For example, maybe you’re looking for a certain product or want to read a blog post on a specific topic. This one is extra simple. Make navigation super easy for website visitors by linking between pages when it’s relevant. For example, if your client mentions their shop on their About page, link to the shop. 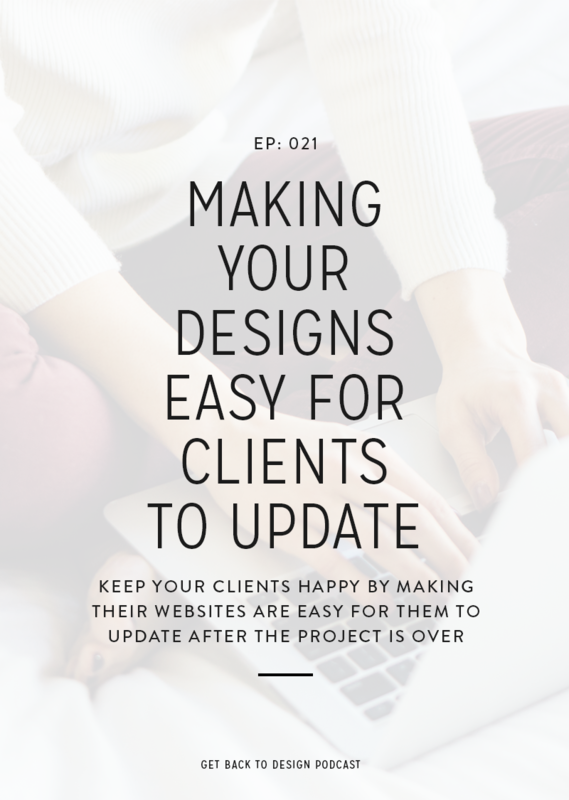 It might seem like this is up to your client to take care of, and you’re right. But if they’re not doing it, at least help them understand the importance of it and give them a few tips to get started. Last, let’s go over what you can do to keep visitors moving once they’ve reached the bottom of a post or page. Ideally, every post and page would end with some type of call-to-action. But what if your client forgets or visitors aren’t interested in the option they were given? A great option for blog posts is related posts. This is a great way to give visitors information they’re likely interested in and keep navigation easy. You can also include an opt-in or a headshot and quick bio about your client. Pages aren’t quite as fun to work with, as you generally need to consider what makes sense next and link to it. 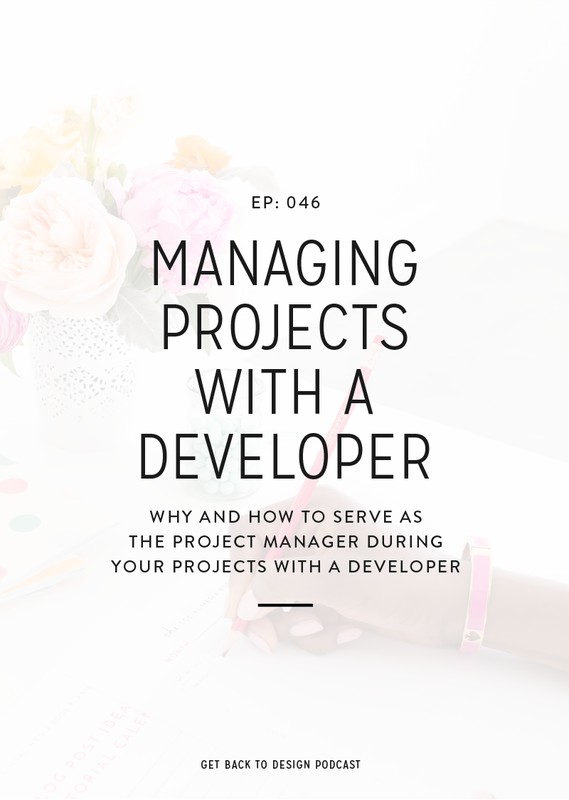 But as a catch-all, make sure you’re designing footers that are strategic like we talked about in Episode 051.